Slim fit. CoolFit performance fabric. UPF 30+ UV protection. Stand up collar. Zip neck with chin gua..
Lightweight. Funnel neck. Vislon® zip. Reflective shoulder panels with mesh overlay. Thumbholes on c.. Single jersey with wicking finish. Stand up self fabric collar. Raglan sleeves with flatlock stitchi..
Wicking finish. Smooth marl fabric outer with ribbed inner fleece. Raglan sleeves. Nylon zip with se..
Cool-Dry© mesh panels. Breathable. Fabric is moisture wicking and quick dry. Mandarin collar. Zip ne.. 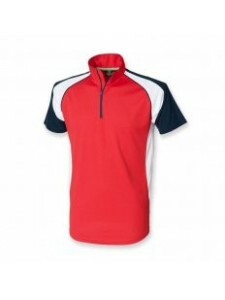 Contrast zip neck with stand up collar. Contrast shoulder, upper arm and side body panels. Concealed..
Mandarin collar. 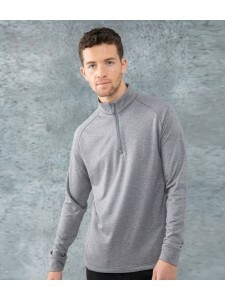 Raglan sleeves with thumbholes on cuffs. Reflective piping on raglan seams. Contras..
Breathable fabric. Self fabric collar. Taped neck. 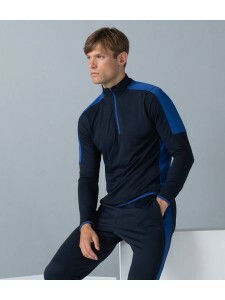 Covered zip neck. 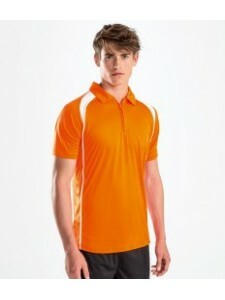 Contrast mesh panels at raglan ..
Textured moisture wicking Topcool® fabric. Self fabric collar. Taped neck. 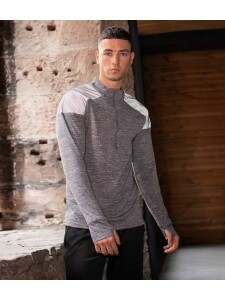 Contrast zip neck. Contr..